First moments, last moments. I have been thinking about them lately. I don’t know where I read about this, but there was an article about parenting where it recommended that you slow down and experience life as you live it. That you didn’t know the last time your child would crawl before walking, the last time they would need a diaper changed, etc. And I think that is so true. We are excited and celebrate “firsts”, but fail to celebrate “lasts” because you don’t realize it is the last time until later, upon reflection. I’m a pretty emotional and nostalgic person, as well as ridiculously reflective, so I probably think about this more than I should. Even as a teacher, I get super emotional at the end of the year – it’s the last time I will begin a chapter book read aloud, the last writing unit, the last time I will confer with this child. And it isn’t that I don’t celebrate the day as it happens, or that I don’t find joy, I also feel the time slipping away and hope, and pray, that I’ve taught these fifth graders everything I can. Everything they need before moving on to sixth grade. A friend recently asked me if I had ever had a “bad” class. They had heard about my son’s class and their reputation and asked what I thought. I was honest and said I loved them. He laughed and said, “You say that about them all. How can that be true?” And I paused and considered that comment. I truly did love them. Classes might be tough, some students might be hard, but those moments during the year together? The firsts, the lasts? The community we create? They make it all worth it. 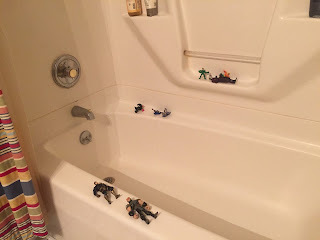 Last night I came upon the bathroom tub. Guys were lined up on the side, dripping wet from Liam’s bath. I smiled, so happy that his imagination still ran wild. Wondering if teachers who don’t have children, or don’t have children that are ten, realize that fifth graders – while trying to act like “big kids” still are little kids underneath. Then I paused, how many more baths until he was too old for guys? How many more times when he was just a little boy? Some tears slipped out. A family member recently asked me why I gave up so much of my night to my boys. If they ask me to lay with them until they sleep, I will. If they want me to read with them, I will. If they just want me to sit in my own room, reading, while they try to sleep because they don’t want to be on the top floor alone, I will. I tried to explain that it was a simple decision, there is nothing better that I could be doing with my time. Someday all too soon, they won’t ask. They won’t even be living in this house. So, as long as they want me near, I will. As a new school year looms ahead of me, just twenty days away, I’m excited to begin on another journey with a wonderful group of kids. I know the year will begin with firsts that I will look forward to, and lasts that will make me emotional, especially upon reflection. I also know that I will look at my students – the ones that are easy to love and the ones that drive me mad – and know that these kids are absolutely precious to someone, somewhere. That someone treasures every first and last moment with these kids. That even though they appear to be “big kids”, they are still little underneath. That these kids are the whole world to their parents and I need to treasure every moment I get to spend with them. All too soon it will be May, I will be finishing our last read aloud, and tears will be slipping down my face. Firsts and lasts, the moments that make up our lives. They go by all too quickly. Heading into 5th and 7th, on their way to football. Time needs to slow down. I wasn't sure how much reading I would get in this week. My week had a quick trip to Cincinnati for a Scholastic Summit and I felt like I lacked the time to sit down and devour a book. 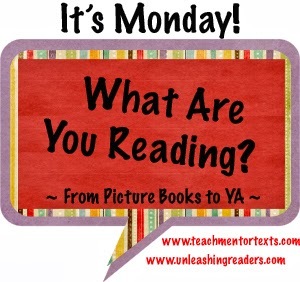 Fortunately, picture books are perfect for this kind of week. I am in love with this "I Am..." series, otherwise known as the Ordinary People Change the World series. Franki Sibberson introduced me to them at the Summit. 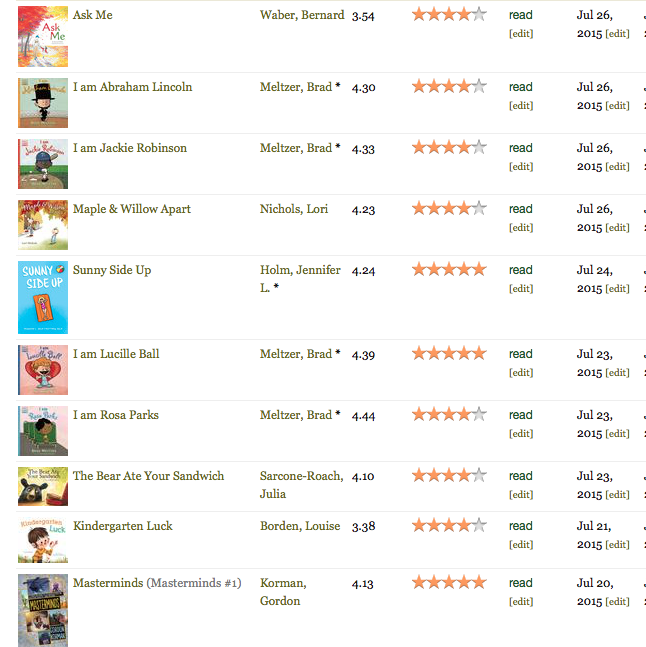 I had seen the covers, but thought they were written for far younger students than my fifth graders. The inside is almost like a graphic novel and I am in love with the character lesson each book ends with. So much fun! Masterminds by Korman is a book I already own, but my students had taken it from me as soon as I brought it to school and I have no idea where it is now, I believe a student brought it home for the summer. So I did what any Korman fan would do, I purchased another one. It is excellent. Saturday morning I went to a book signing for Jaleigh Johnson's paperback release for Mark of the Dragonfly. My students and I LOVE this book. I've read it aloud for the past two years and it has been a favorite each year. 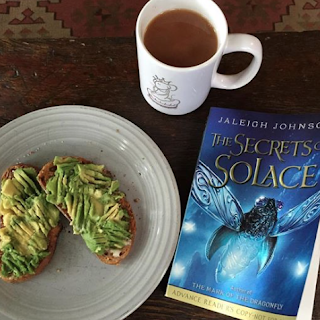 I'm currently reading an ARC of the companion book to Dragonfly called The Secrets of Solace. It is beautiful. I don't have an extra ARC, so to celebrate the release of the paperback, I have a signed copy of Mark of the Dragonfly to giveaway. If you'd like to enter, fill out the form below. I purchase a lot of professional books, a ridiculous amount really. But several never get read, I just keep planning on reading them, but I never do. My books by Jeff Anderson are the exception to that rule. I first met Jeff through Everyday Editing, then Mechanically Inclined, 10 Things Every Writer Needs to Know, and finally Revision Decisions. I love Jeff's writing. He is engaging, hilarious, and teaches me more about grammar than I ever thought I would want to know. More than that, I've got to know Jeff as a person, and he is amazing. So when I heard that he was going to venture into the world of children's literature, I was intrigued. Jeff was a teacher for over twenty years, teaching in 4th-8th. He knows kids. I love when former teachers write for children. The characters and their dialogue are usually spot on. They know this age group, inside and out. This holds true in Jeff's new book, Zack Delacruz. I understood Jeff's character of Zack. Zack just wants to be in the background. To blend in, fit in with friends, and have everything go well. He is quiet, struggling a bit as he moves through sixth grade. Some kids in his class aren't making it easy, neither is moving between his mom and dad's house after their recent divorce. Life is not a piece of cake for Zack, which many of my students will identify with. And then, there is the incident in the library. In library class one day their teacher is called away for a phone call. The lack of teacher can make some kids quiet, others funny, and some mean. Unfortunately for Zack, the lack of teacher causes one classmate - Jose - to pick on another classmate - Janie. And before Zack knows, or understands, what he is doing, he stands up for Janie and becomes Jose's next target. This moment of bravery from Zack leads to him being put in charge of a school fundraiser with Jose. (!!!) And this fundraiser is a big deal - it is the only way the sixth grade class can be a part of the school dance. You follow Zack as he struggles with his desire to step back when thrust into the spotlight and watch as the story unfolds and he finds his own path. I loved so many things about this book. I loved that it was about kids that seemed so real. That it tackled the issue of bullying without being a issue book. And that it was about a diverse group of kids, but that wasn't the focus either, they were just kids. My students, though, loved the book because they found it funny. It helped that it was not a million pages. That led to it being passed hand to hand around our class - and it still is! Some boys took my copy of the ARC home from the summer and are returning it once the entire group reads it. That speaks volumes. And they were grateful to hear that Jeff is working on the next story with Zack right now. They aren't ready to say goodbye to Zack, or his friends, just yet. 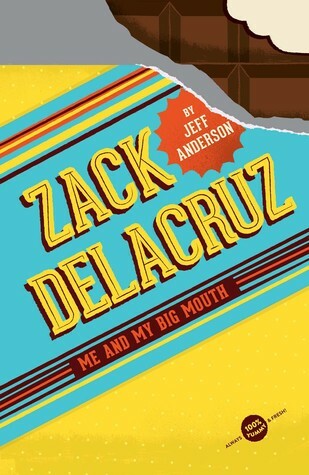 I think Zack Delaruz: Me and My Big Mouth is the perfect book for your middle grade classroom. Check it out when it is released on August 4th and you will grow to love Zack and his friends too. Good gracious, I haven't updated for It's Monday for three weeks! 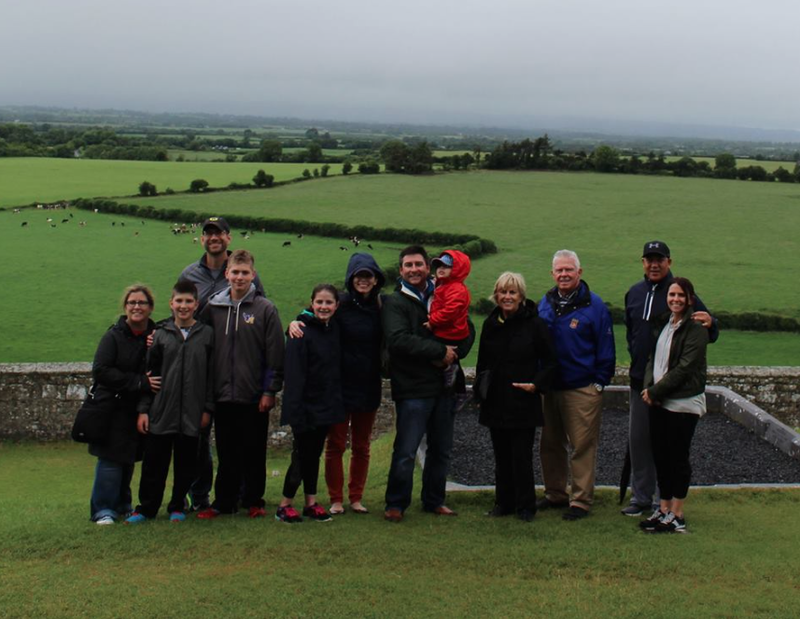 Now I was in Ireland for the last two, with extremely dicey internet, but I'm not sure what happened before that. 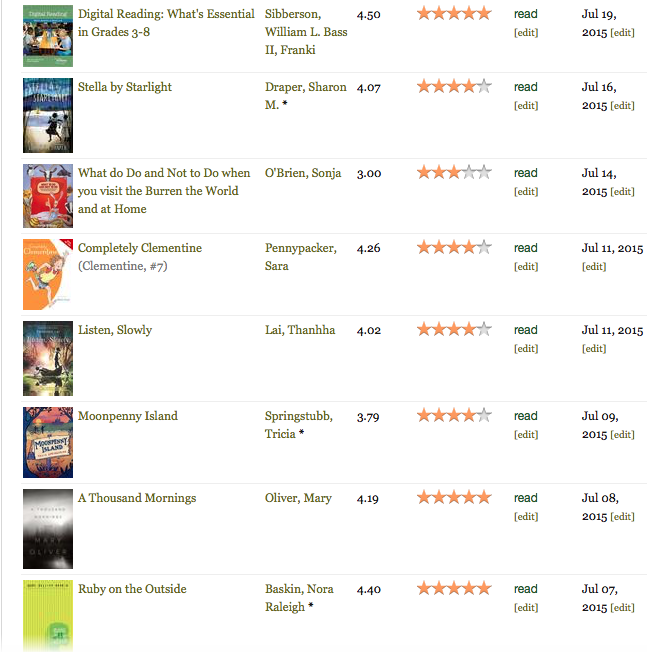 At any rate, I thought I'd quickly share the titles I've read since then and list off a few you should not miss. Sound good? Here we go! Picture book wise, make sure you see The Night World and Boats for Papa. Both were books I planned on reading in the bookstore, but not purchasing. Both ended up coming home with me. Middle grade, there are a ton. Umbrella Summer; Star Wars; Clementine; Ruby on the Outside; Moonpenny Island; Listen, Slowly; Stella by Starlight - fabulous books. I know they will all be hits in my classroom this year. Franki Sibberson and Bill Bass have written a terrific new book for teachers called Digital Reading. It is an important look on authentic ways to use technology in your classroom. I think all teachers should read it. And last, but not least, The Marvels. Holy wow. This comes out September 15th and I CANNOT WAIT. I've preordered it and am anxious for the arrival. I borrowed this copy from a friend and had to finish it before I left a conference. I'd love to go back and pour over the illustrations and the story, but I have to wait. Amazing, amazing, amazing book. I'm starting this week off reading Gordon Korman's Masterminds. I can already tell I'm going to love it. I spent some time on Twitter this morning. While I cannot be in St. Louis for ILA, I can follow along on Twitter. 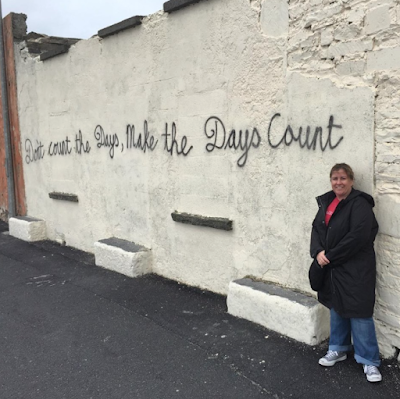 Two of my favorite writers for teachers were presenting – Donalyn Miller and Penny Kittle. I think these two ladies write some of the only professional development books that make me cry. They know what it means to connect to kids. That’s important to me. While I read through a few tweets, I could feel myself getting excited about the school year that is beginning to take shape in front of me. I think I begin each school year with three goals. Help students find their way to a love of reading. Help fan the flame of these young writers. Help my students become the best people they can be. Those goals are always in the forefront of my mind. Standards come after - assessment pieces, data, everything else is secondary. I begin our year together by getting to know my students, building relationships, and then working on those three goals. If I reach those goals, I know that my students will go far. At the end of our last school year I shared these three photos of my beautiful students holding up signs regarding how many books they had read in our year together. How the number represented something differently for each of them. How, really, the number didn't matter. The stories mattered. Their connections to beloved characters mattered. How they had connected to other readers in the classroom. How they had grown in more ways than I could measure. However, once I posted the photos, I had many questions messaged to me. Did I let them count picture books and graphic novels? How many books had I required them to read? Did I test them on every book they read? Were they allowed to reread? If you read more than someone else, did you get a higher grade? And honestly, I don’t even know where to begin. 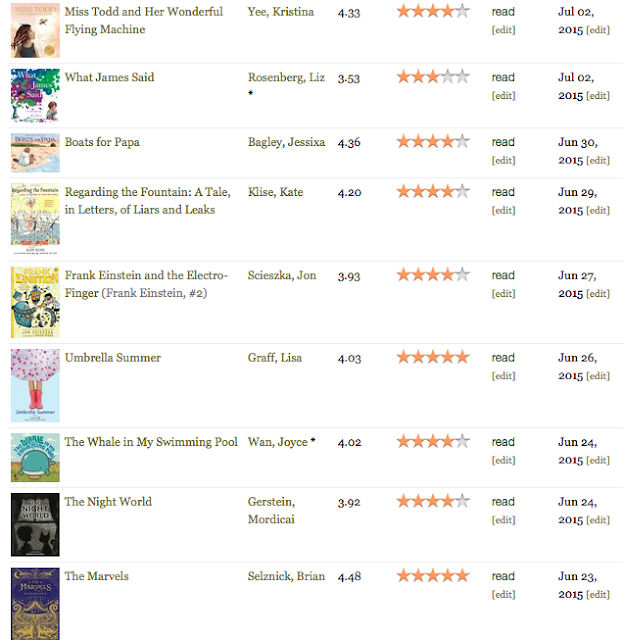 Yes, I do have my students keep track of how many books they read in a year, but as a reflection tool. No, I don’t check their record often. If they choose not to keep track, that is their choice. I find that if we talk about it a lot, they keep track. We look at it for group discussions and then they realize they are behind. 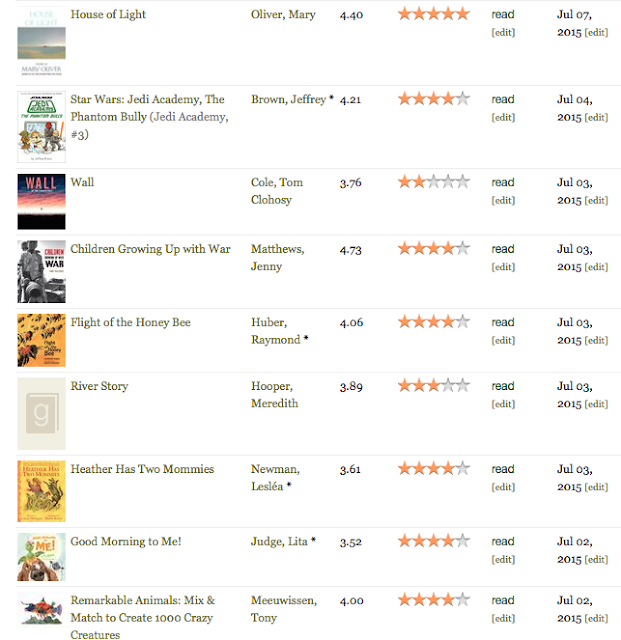 No, I don’t require any certain number of books. I ask my students to make their own goals, I make mine, and we revisit them at Christmas time. We revise goals as needed. There is no higher grade for one child who reads more than someone else. There is no reward for reading any amount of books. There is also no penalty in reading less. The reward is in finding books you love, not in a grade. Picture books count if they choose. Graphic novels too. (I count them, why wouldn't I let my students?) And of course they can reread – I do it all the time. I think at times we make teaching so much harder than it needs to be. If you are a reader and writer, think of what you do as a reader and writer. Teach that to your students. Don’t ask them to do what you wouldn’t. 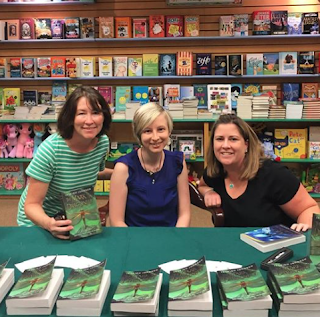 I’m so grateful there are smart folks like Penny and Donalyn out there spreading their wisdom on what it means to teach kids to love story – whether in a book or in something they’ve written. We can help these kids fall in love with the written word, but not if we make it all about grades, numbers, and data. Bring it back to what we know to be true. Know the books in your classroom. I love that Ruth invites us to celebrate each week. That chance to reflect and find the moments worth celebrating centers me, even when I forget to blog about it. Check out her blog HERE for more celebrations linked up at the bottom. I haven’t lived at home for over twenty years. My sister, brother, and I haven’t lived in the same house for such a long time. This is just one reason I was so excited for this trip. For two weeks I would live with my first family again. I’d see my parents when I went to bed, when I woke up. I’d talk to my siblings over every meal. As an added bonus, I would get to know the rest of my family – in-laws and nieces – even better. It was wonderful. 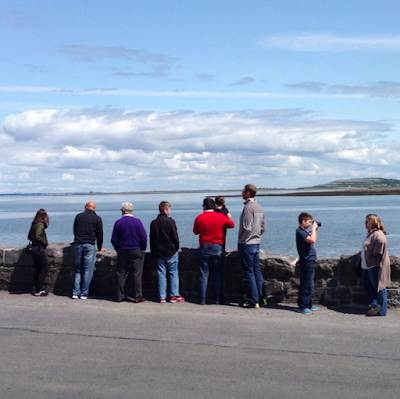 We stayed in three different towns in Ireland, for three to four days each. One thing that really struck me was the relaxed attitude. The Irish people that we encountered weren’t fazed by much. Whether it was waiting in line, finding a parking spot (and holy moly, they have some crazy parking and driving), or anything else – they were relaxed. They seemed to take everything in stride and not give too much of their attention to anything that really didn’t matter. What did matter? 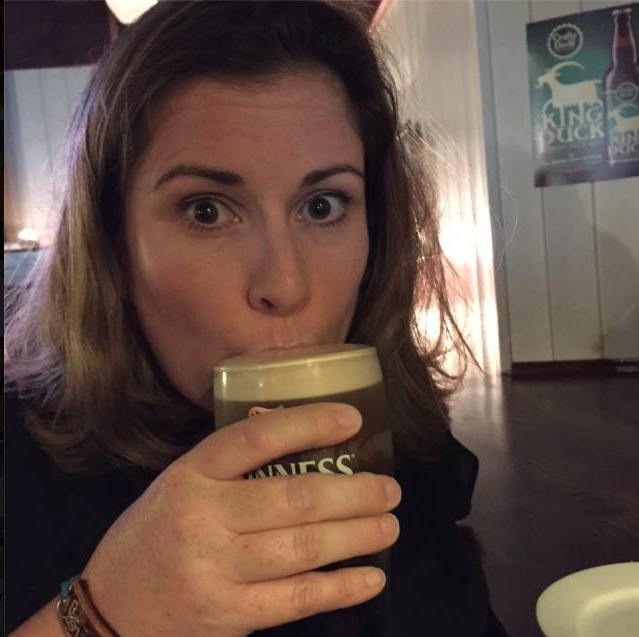 Time with friends and family, laughter, and Guinness. J I will keep this at the forefront of my mind. I am reminded constantly that our community is what we create. I have a fabulous one in my tiny town in Monticello. I also have an amazing one online. Friends in both communities knew how stressed I was about flying. They reached out and sent me text messages, emails, and kind notes checking in on me. I appreciated that more than I can say. Returning home, I felt a bit of #FOMO (Fear of Missing Out – thanks Kristin and Franki!). Many of my friends were attending International Literacy Association in St. Louis. I had originally decided to go and then sometime last year reconsidered. I knew I’d be exhausted coming off of my trip. So while I’m sad I’m not there, I’m grateful for Twitter where I can read wonderful tweets sharing the learning from so many friends’ sessions. It helps lessen the #FOMO just a bit. It’s no secret, I love sunrises and sunsets. My entire family knows this, and my students do too. I would say I get at least one email or text of an amazing sunrise or sunset photo a week, many from former students who saw it and thought of me. I tell everyone that I love them because they remind me of how beautiful our world is on a daily basis. 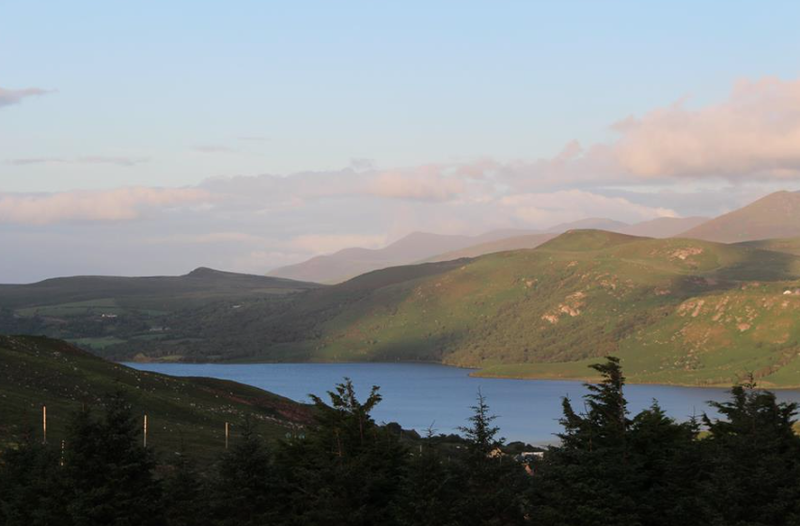 Visiting Ireland was to be surrounded by beauty – all day long. Looking out my bedroom window in every house, I was struck by how blessed I was. I am so grateful I had that experience. I’m glad to celebrate the past two weeks, and also grateful to celebrate everything there is to come. The final part of summer stretches out in front of me. I cannot wait to see what is in store. Celebrate This Week - See You Soon! Chris and I celebrated our 19th anniversary on Monday. I met Chris at the University of Illinois when I was 19. We married when I was 22, he was 23. Looking back I think we were so young, but at the time we seemed old. Time is funny, our wedding feels both forever ago and that it just happened at the same time. I’m excited to see what the next 19 years brings. Forgive the sporadic blogging of late. 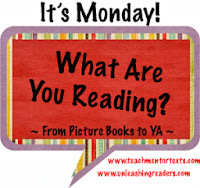 I returned from All Write and Choice Literacy last week and then went into tournament time. Luke had a basketball tournament Monday – Wednesday and played in five games, mostly during the day. Liam had a baseball tournament Monday-Friday and had seven games – all at night. We finally got home last night at 10:45 pm to have dinner. They gave it their all, and ended up in third place. So proud of those kids, but so grateful to have a few weeks off from bleacher life. Well, until football begins in August. I believe I have mentioned before, but I have anxiety. It ebbs and flows at times, and has improved greatly over the last few years. One huge trigger is flying. 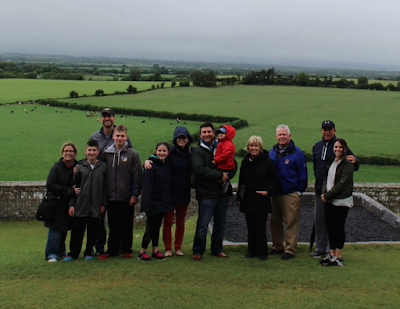 Tomorrow I will be hopping on a plan with my entire family (parents, siblings, nieces, husband, children) to head to Ireland for almost two weeks. I cannot wait. This past Sunday I awoke and found my anxiety was back and in full force. Realizing it had to do with being trapped on a plane for 7 hours, I decided to take charge. Thanks to my doctor, I will be traveling with some Xanax. Feel free to pray for calm skies, lack of turbulence, and some sleep on the flight for me. I’m looking forward to this adventure. As I mentioned above, I’m heading off to Ireland tomorrow. I have no idea what internet access will look like and I don’t know what my time will allow in regard to blogging. So there will likely be a lack of posts for the next two weeks, but expect a huge recap when I return. Have a Happy 4th. See you in a few weeks!